Excessive smoke inhalation being the leading cause of death in Mayan children under the age of five, according to the World Health Organization. Children and adults being terribly burned due to falling into the fire. Having over two times the safe level of carbon monoxide gas in their living environment. Spending hours daily gathering wood to burn. Black soot covering their living space. High rates of Acute Respiratory Infections. 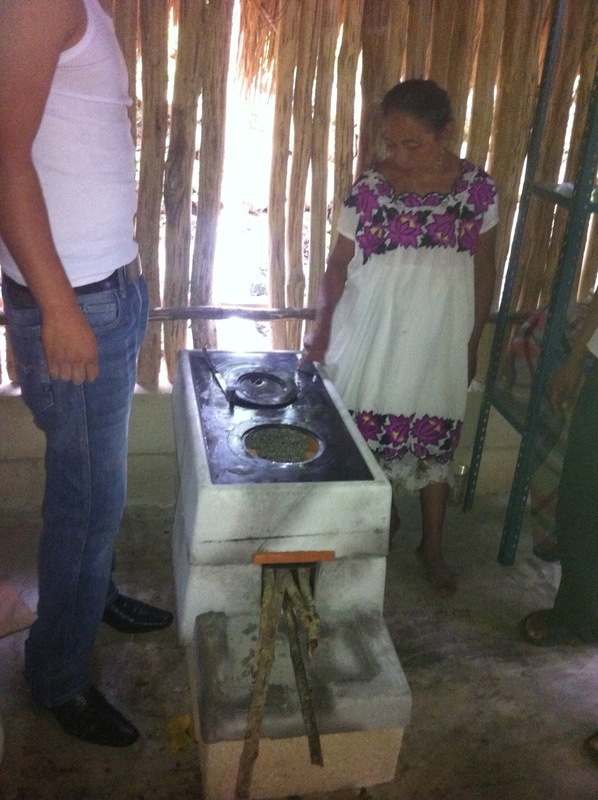 We have found a durable stove that minimizes smoke and burns and reduces wood use by 70% while maintaining traditional Mayan cooking methods. Vented by a galvanized steel chimney, the stove uses an efficient burning technology, and virtually eliminates smoke and deadly carbon monoxide in the home. The ONIL stove reduces wood consumption by 70%, resulting in a long-term benefit to the environment and a better quality of life for families. Women who use the ONIL stove gain the equivalent of two days a week in time saved from gathering wood. Please help us reach our goal of 100 stoves so all families can experience the benefits. For centuries the indigenous population, the Mayan, have cooked their meals using open flame three-stone fires on the floors of their one room homes . This traditional method of cooking is the cause of rampant medical and environmental problems throughout rural Yucatan of Mexico. After an investigation of the cultural and technological factors surrounding three-stone fires, We have found a Stove: a durable stove that minimizes smoke and burns, and reduces wood use by 70%. That the high instances of facial and hand burns were due to children falling into these open fires when they were playing or learning to walk. That excessive smoke inhalation is the leading cause of death in Mayan children under the age of 5, according to to the World Health Organization. The deadly gas carbon monoxide was found to be twice the level considered to be dangerous. That inefficient burning of wood for three-stone fires required the women and children to gather huge amounts of wood daily, contributing to deforestation at a level of 2% per year. The time lost to long treks to get the wood combined with the effect of carrying heavy loads had a detrimental health impact on women and their families. We have found a stove that will help solve this problem. The fire is contained in a clay-fired firebox in an insulated, durable stove that sits off the floor, thus minimizing the risk of burns to small children. Vented by a galvanized steel chimney, the stove uses an efficient burning technnology, and virtually eliminates smoke and deadly carbon monoxide in the home. Using the ONIL stove means longer life expectancy, safer child development, and more time and energy for families. Women who use the ONIL stove gained the equivalent of two days a week in time saved from gathering wood, allowing them time for social and economic activities like cultivating a vegetable garden. Form your own stove-building team and work side by side with Mayan families on this project. Take the next step in changing the lives of children in Mexico.